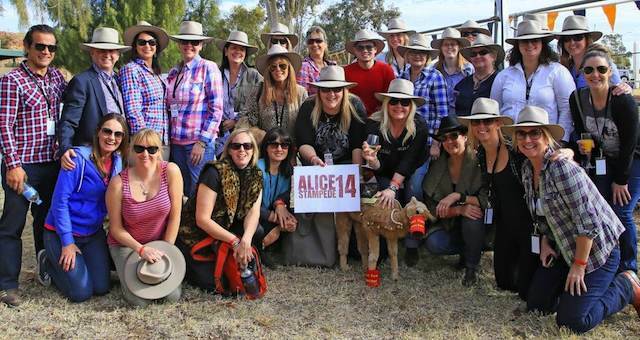 Twenty of Australia's top event planners headed to Alice for the annual Stampede mega-famil. Twenty of Australia’s top event planners headed to Alice for the annual Stampede mega-famil. 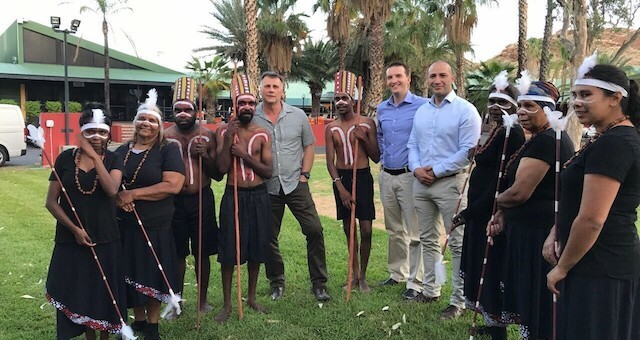 A joint initiative of the Alice Springs Convention Centre (ASPCC) and the Northern Territory Convention Bureau (NTCB), the trip took place over four days in September. The Stampede itinerary showcased infrastructure, attractions and experiences, while also providing interaction with the unique Central Australian community of Central Australia. 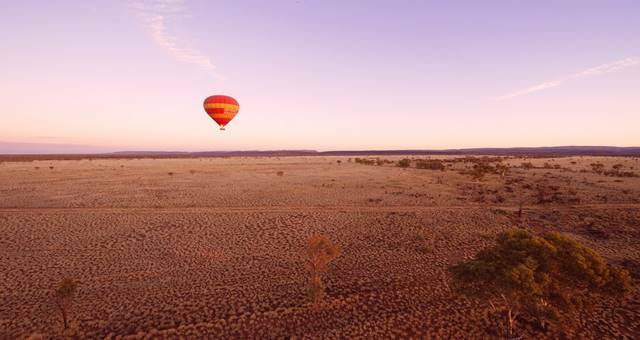 Highlights included early morning hot air ballooning over the desert landscape, a visit to Alice Springs Desert Park and three evening functions held under the stars at historic Alice Springs Telegraph Station, the spectacular Old Quarry and the authentic cattle station property, Oooramina Homestead. Exposure to the rich culture of Central Australia was provided throughout the famil. This included viewing artworks at the Desert Mob exhibition and Art Marketplace at the Araluen Cultural Centre. 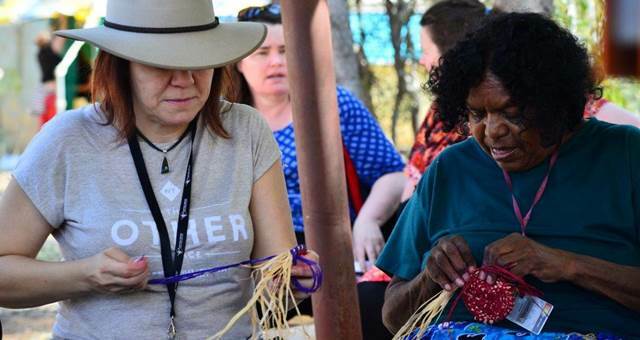 The group also enjoyed a basket weaving workshop with local arts group, the Tjampi Desert Weavers. The polo shirts worn by participants featured designs by gifted young Northern Territory indigenous artist, Dion Beasley. Despite being profoundly deaf and having muscular dystrophy, Dion communicates with the world around him through his fun-loving dog-like designs under the brand of Cheeky Dog. Beautiful scarves from the Santa Teresa Spirituality Centre were given to female famil members as pillow gifts and the men received ties made from indigenous-designed fabric and local timber. Famil participant John Paul Janke said, “Being in the centre of Australia, Alice Springs is quite easy to get to now. There’s a range of accommodation options and the facilities for a big convention are excellent. “The way activities lead into cultural interaction and going out onto country – that’s really good for delegates and clients,” he said. 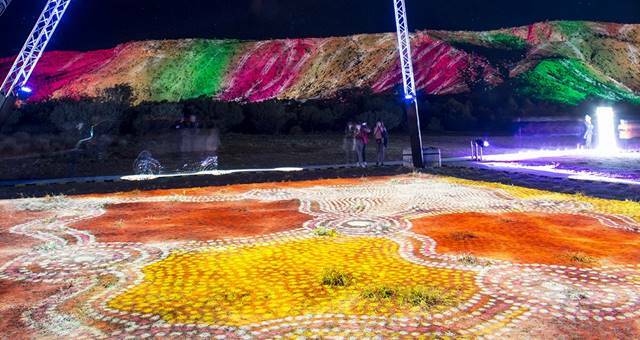 A business forum, held at the Alice Springs Convention Centre, included a welcome from the Chief Minister of the Northern Territory, the Honourable Adam Giles MLA, as well as a panel discussion by a group of eminent Territorians and local speakers talking about ‘their’ Alice Springs. Guests stayed at Lasseters Hotel and also undertook site inspections of a number of other accommodation properties including Double Tree by Hilton, Chifley Alice Springs and Quest Apartments Alice Springs.